Watch Dogs - PC Games Trainer and Cheat Codes. In 2003, a disgruntled employee at a New York power plant secretly planted a virus in his company's computer system, which led to a massive blackout that disrupted power and communications to the entire northeastern US, resulting in hundreds of injuries and even a small number of deaths. 10 years later, a system called "CtOS" (Centralized Operating System) has simplified these connections, connecting entire cities in one gigantic network. The computers that run the CtOS are owned by corporations interested in collecting the massive "data shadows" of every person, for uses from selling products to influencing worldviews. While the CtOS makes such connections easier, it is only a matter of time before someone figures out a way to hack into this network and use or abuse it to suit their own purposes, and when that happens, the damage could be even more catastrophic. Enter the "Watch Dogs", a group of vigilantes who have found a way to exploit this network to deal with criminals where normal law enforcement can't or won't do the job. Gameplay: Watch Dogs' combat system combines the game's core cover-based third-person shooter mechanics with stealth components and parkour. The player's means of offense are a range of weapons; both projectile and melee; the lethality of weapons is very high, as in reality. Though the primary defensive capability is from hacking. 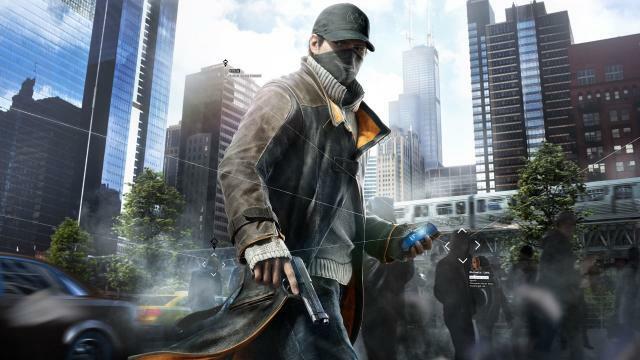 Players take control of Aiden Pearce (voiced by Noam Jenkins), who can hack into different electronic devices connected to central operating system of the city (CtOS) using the multiple applications, namely the profiler, on his smartphone, allowing various methods for the player to solve numerous objectives. This feature holds sway over a majority of the game.